Dominican Quest organizes for you this interesting tour for all our clients staying at Cofresi and Puerto Plata. We will pick you up at your hotel for a bus transfer of about 30 minutes that willa take you to the beautiful Damajagua waterfalls. 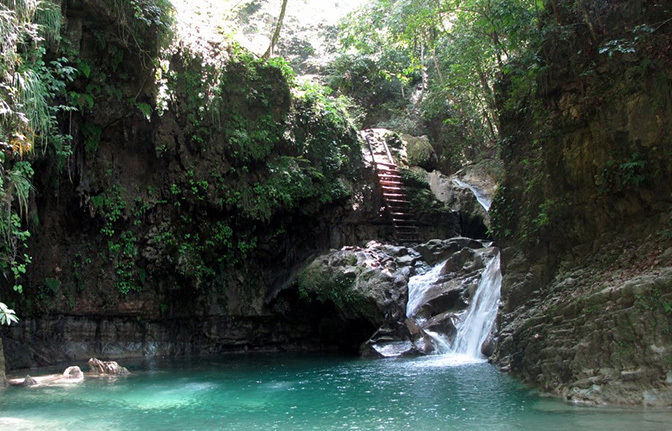 This National Park consists of the winding river Damajagua which makes its way down a mountain forming 27 awesome waterfalls with natural slides and amazing cliffs. 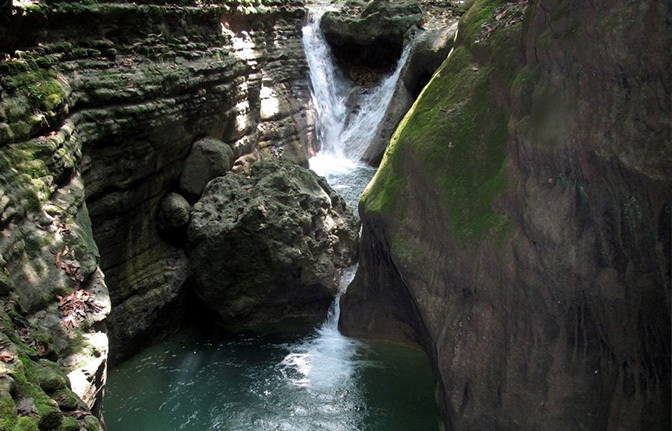 You will have the possibility to visit and climb up to the 7th fall of these magnificant 27 cascades waterfalls and you will be leaded by one of our professional english speaking Tour Guides. 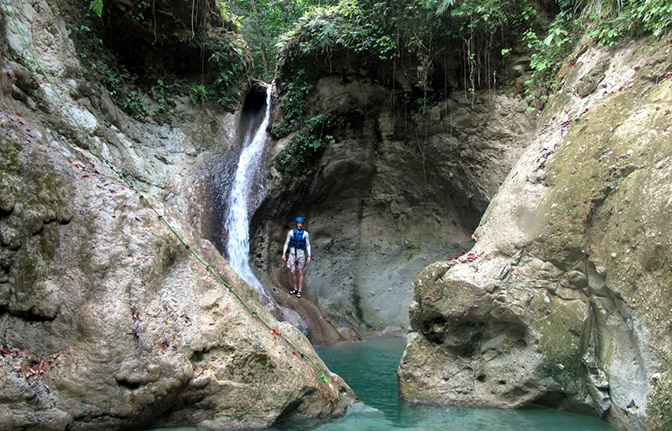 Enjoy this all natural water park especially if you would like to get an adrenalin rush. It will take you about half an hour on foot walking on beautiful trails through the tropical rain forest to get to the waterfalls. We will provide you with life vests and helmets and we recommend you wear sturdy outdoor shoes or water shoes. Also do not bring anything that cannot get wet. 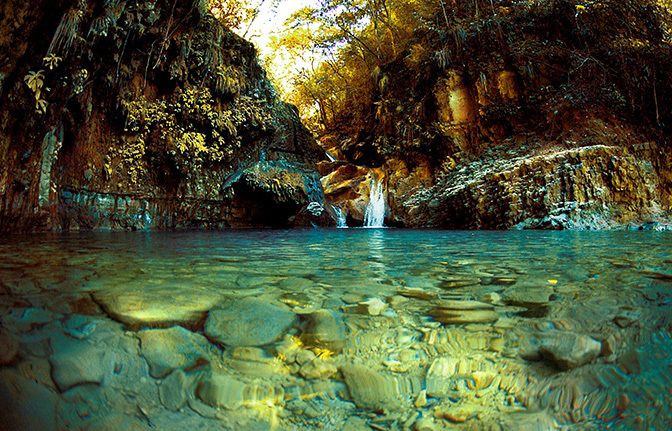 You will start by swimming across the first pool and you will be able to continue to make your way up the rocks. 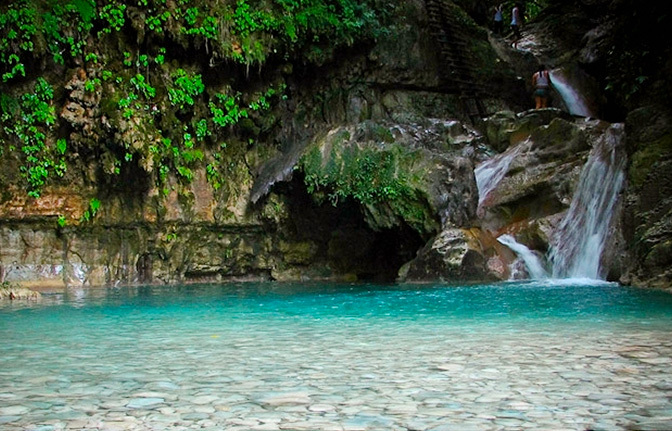 Enjoy swimming through narrow gorges of crystal clear mountain spring water. 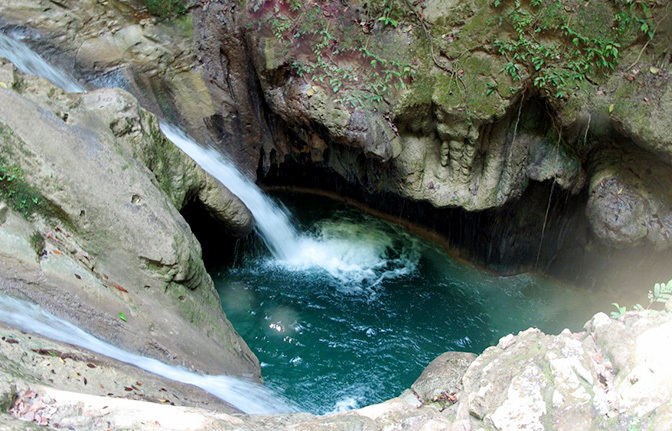 Jump and slide into the pools of water formed in between the limestone cliffs. If you have swimming skills they would be advantageous but you will have a great day nevertheless. After this exciting encounter with mother nature we will take you back to your resort. Young children below the age of 8 are only allowed to climb up to the first waterfall.